Relax Kids offers fun activity classes to help children manage anxiety and emotions while building self-esteem and confidence. Relax Kids Classes are starting back at St. Margarets House Meadowbank in February. The next Relax Kids sessions will be running from Panda Yoga Studios 6.28 St Margaret’s House 151 London Road EH7 6AE starting in April. • 9-12 year-olds 11.15-12.15 Chill Skills is ideal for kids that are transitioning up to the upper end of primary or onto high school. 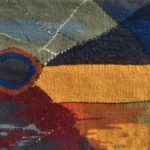 ‘Third Year Exhibition’ showcases a variety of works by painting, inter-media, sculpture and photography students currently studying at Edinburgh College of Art. 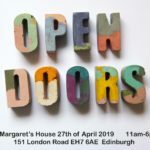 This inter-disciplinary exhibition collates a wide variety of artistic styles to produce a bold, energetic collection of work, which highlights the talents of the up-and-coming artists and creates an exciting visual experience for the audience. 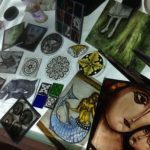 This is a workshop for those who have attend my “one level painting on glass” course, or for those who have a basic knowledge about glass paint and you want to go deeper into multiple firing and use of enamels and silver stain. We’ll produce several samples and we’ll develop during the two intensive days a couple of more elaborate pieces of glass paint. We’ll manage to make 3 firings. This last work will be fired overnight and can be collected the week after or you can arrange it to be posted to your home. 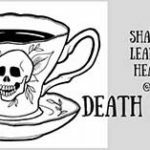 You are welcome to bring your own images to work, or you can choose between a variety of images from my design archive. This weekend workshop is suitable for both beginners and experienced jewellers who would like to try new material. 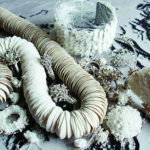 You will learn about different clay techniques and how to make jewellery from porcelain in depth. People Know How’s latest project supports people to realise their full potential. 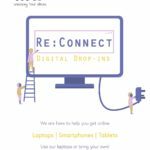 Re:Connect is a service that provides free access to laptops along with volunteers to help people navigate online services. 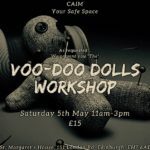 Come & join us for few hours of learning how to make voodoo doll aka “human shaped pin cushion”. Book on CAIM Facebook page (message). Tea, coffee, nibbles on us.